So many people nowadays call themselves producers, that it is always a surprise when a local artist comes along with a professional sound and the vocals to back it up. 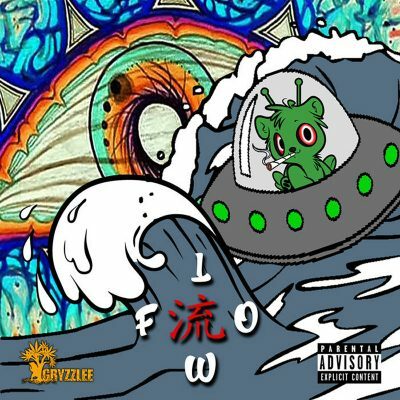 With a masterful style and beats that blow the doors off, Gryzzlee’s Flow brings professional and smooth-sounding production that stands above the rest in the current scene. This album features 11 songs, all comprising diverse styles so that you can get a grasp of Gryzzlee’s range as an artist. Flow starts out with the title track, which features a mellow cloud rap–inspired beat with perfectly placed 808s that let you ease into the album. The beat on “Flow” instantly became one of my favorites of the year so far. The following track, “Hydro,” continues with a more yet mellow feeling, as a plucked harp loop keeps a trap-inspired soothing sound. You get a unique juxtaposition with these softer-sounding beats along with the booming sound of Gryzzlee’s delivery of the lyrics and the messages that he shares.